We are eagerly looking forward to the next IAHE Home Educators’ Convention, March 22 & 23. We hope that you’ll be a part of our very special event serving the homeschool community. Were you a past Exhibitor? You will be the very first to be notified once Exhibitor Registration opens. Homeschool companies and vendors will be given priority in the registration process. All other potential vendors are welcome to join our waiting list for space as it becomes available. Scroll down for the New Exhibitor Application. This is an application for new exhibitors at the Indiana Association of Home Educator's (IAHE) Convention. Completing this application does NOT constitute acceptance of the applicant to exhibit at our convention. Exhibitor applications will be reviewed by the IAHE Board of Directors & the Convention Committee. If approved, exhibitors will be asked to complete the actual Exhibitor Registration form and submit payment. We do our best to respond to all Exhibitor Applications within 48 hours. Do you plan to sell products or services at your booth? Register early to save money! Early Bird pricing ends November 16, 2018. Late Registrations will be accepted as space allowed, and exhibitor will be charged a $100 late fee. Late Registrations are not guaranteed placement in the convention program. 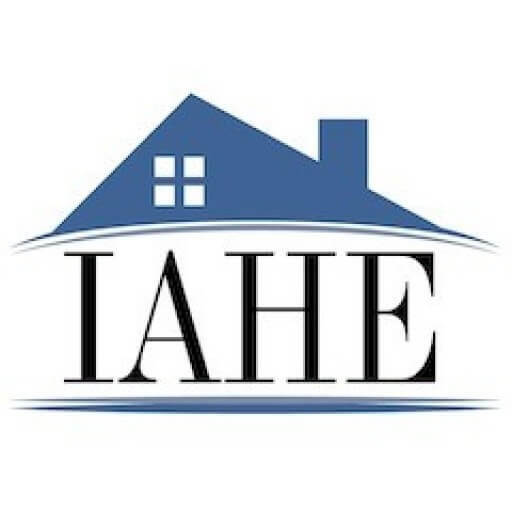 Prices are for 2019 IAHE Convention booth space ONLY. Please review our full exhibitor packet for add-on services including electricity, WIFI, and more. Each regular booth is 10’ X 10’ with an 8’ high back drape; 3’ high side drapes and includes an 8’ skirted table with two (2) chairs and an ID sign. Located at the end of an aisle, each corner booth is 10’ X 10’ with an 8’ high back section, a 3’ high side drape and includes two (2) 8’ skirted tables with two (2) chairs and an ID sign. Located at the end of an aisle, each end-cap booth is 10’ X 20’ with an 8’ high back section and includes 4 (four) 8’ draped tables with four (4) chairs and an ID sign. Located on the center aisle of the Exhibit Hall in a prime location, each premium end-cap booth is 10’ X 20’ with an 8’ high back section and includes 4 (four) 8’ draped tables with four (4) chairs, an ID sign, 1 On-Screen Ad (displayed on our big screen between sessions in the main auditorium ($100 value), and 1 eblast banner in the IAHE convention promotion newsletter the week of our event ($100 value). Information only, no product sales or fundraisers. Each mini booth is a 6′ X 8′ with an 8′ high back drape, one 3′ side drape, 2 chairs, an ID sign, & one 6′ table. Note: These booths will be offered in a limited number and are for ministries and nonprofits only. Colleges are not eligible for mini booths. Do you want every attendee to go home with your catalog or brochure? Check out the Alliance Bags website for details.